Ireland is famous for its pub culture, where people go for relaxation, fun and camaraderie. It’s no wonder there are so many Irish pubs in San Diego. For St Patrick's Day this month you can find many different bars to celebrate the holiday. 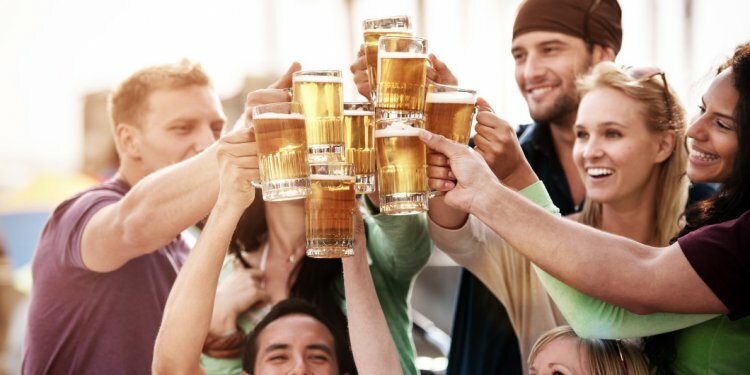 Here are five of the best choices to hang out and drink with friends. This little piece of Ireland has been transferred to the Gaslamp District to offer San Diegans some hospitality and fun. They shipped materials from Dublin in order to make the pub authentic. The shop front is typical of the original fronts in Dublin and is fitting to the originality and character of Ireland’s heritage. The Dublin Square Irish Pub and Grill menu offers traditional American–Irish fare and plenty of drink specials including their happy hour, which features many different kinds of whiskey drinks and appetizers. Best of all, this Irish pub is known for its music. On busy nights the musical talent makes it a great pub to visit. This Gaslamp pub can definitely boast about its entertainment. Every night starting at 9pm they have live music from local and visiting bands. Patrick’s Gaslamp Pub has been around for a long time. After the Prohibition ended in 1933, Patrick’s Pub opened in the red–light district of downtown San Diego, which is now called The Gaslamp Quarter. To this day it remains a thriving neighborhood bar with a warm and friendly staff. This small bar has good beer and plenty of liquor choices. This is the kind of place where you can come back every night and hang out with a drink while listening to a new bands. This North County San Diego bar, located in Carlsbad and Escondido, offers good food, music and a relaxed atmosphere, but most of all a well–stocked bar. With seventeen beers on draft, as well as the largest selection of Irish and Scotch whiskeys in North San Diego, you'll be able to have that whiskey drink you've been craving. The Carlsbad location of O'Sullivan's Irish Pub has fire pits and a nice patio where you can drink a whiskey and catch the night air. Escondido offers a small patio out front where customers can people–watch the busy street of Grand Ave. On certain days, the pub has live music for patrons to enjoy. This Normal Heights bar has been around for over fifteen years and is know for the decently priced drinks, neighborhood atmosphere and a great food menu. From entrees like corned beef hash and sandwiches for lunch, to the brunch Rosie O'Grady's serves with free self–serve coffee, you can eat any time of the day. The brunch is particularly delicious, especially after a night of drinking at their pub. This pub has a drink for everyone! O'Brien's Pub caters to jaded beer enthusiasts, offering Belgian beers, hoppy beers and other rare beers from around the world. They often rotate what they have available so that they maintain variety. Generic beers like Bud Light and Coors are not offered at this pub; instead, many different kinds of local beers take their place, such as beer from Ballast Point, Stone Brewing and Alpine Brewing Company. Parking can be difficult during peak hours, but the burgers, sandwiches and great beer sold at a reasonable price make it worth going to.